I went to the Night Light: Multi-Media Garden Party at the SOMArts Cultural Center. It was great seeing friends and meeting some wonderful artists. Below, you’ll find some footage I shot of Radka Pulliam‘s piece, Up and Down the Street. It’s quite clever in that the viewer must “look in” the building to “look out” at the street view. The placement was spot on since it was in a relatively inconspicuous place towards the front of the entrance. I noticed people stopped when they noticed someone looking down and ponder the location of the projection. One of the memorable performances of the evening was the Spanish Contemporary dance routine of Elias Aguirre and Alvaro Esteban. They are amazing. The isolations and articulation of their bodies is best seen in person. If you were at Night Light, you would know exactly what I’m talking about. Fortunately, there is a video of this phenomenal Spanish Contemporary Dance duo. Asterisk San Francisco Gallery is pleased to present Cholas to Picasso: The 3D Artworks of Rio Yanez, a collection of 3D drawings and photography. Please join us on Thursday, May 3, 2012 from 7-9pm for the exhibition opening. As a native San Francisco artist, curator, and photographer, Yañez includes the viewer into the art experience. This show is particularly meaningful as it is Yañez’s first solo exhibition in the neighborhood where he was raised. 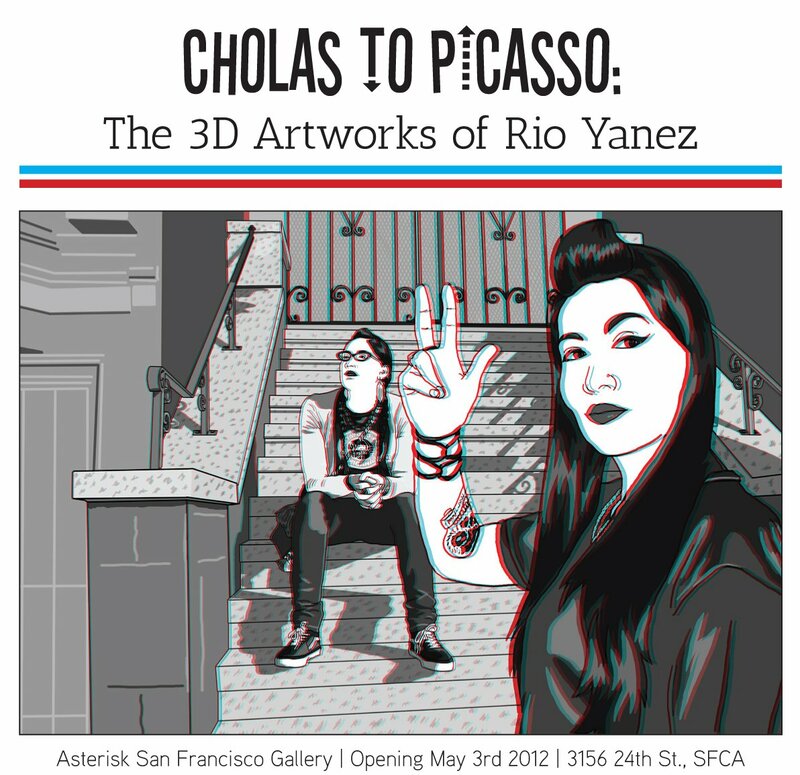 In Cholas to Picasso: The 3D Artworks of Rio Yañez, three-dimensional works of his ongoing series, The Ramirez Sisters, depicting two siblings and their parallel lives in San Francisco’s Mission District takes on the form of sequential art. Although Yañez negates text, the images of the sisters evokes a strong sense of the how the city shapes the sisters’ individual identities. With his re-contextualization and imaginings of Frida Kahlo and Picasso inspired works, the images mesh into the contemporary fabric Yañez calls home. His photographic works depict the richness and vibrancy of San Francisco. Through Red and Cyan colored lenses, the dynamic simulation of being in these moments of creation is brought to the participant. The textures and scenes of the city enliven the urban landscape. The three-dimensional facet of the works are also kinetic and engaging as they lure the viewer into participating into the city’s infectious and energetic spirit. Rio Yañez is a curator, photographer, graphic artist, and San Francisco artist. As a curator, he is a frequent collaborator with his father, Rene Yañez, and the two have been developing exhibits together since 2005. He has exhibited in San Francisco, Santa Barbara, and Tokyo. His reimaginings of Frida Kahlo have included the Ghetto Frida Project, a series of prints, writings, and performance pieces featuring a thugged-out Kahlo. Yañez is also a founding member of The Great Tortilla Conspiracy, the world’s most dangerous tortilla art collective. Most recently, his work is featured alongside Miguel “Bounce” Perez and Susie “Tendaroni” Lundy in current exhibition, The Fashion World of Jean Paul Gaultier: From the Sidewalk to the Catwalk at the De Young Museum. Yañez received his BFA in Photography from the California Institute of the Arts. He currently works and resides in San Francisco, California. Asterisk San Francisco Gallery is located in San Francisco’s vibrant Mission District. The gallery was founded in January 2012 by Asterisk San Francisco co-founders Chief Editor, Jeremy Joven, and Managing Editor, Alex Winter. The gallery focuses on supporting emerging artists within the Bay Area community. It is also available for art openings and single evening events. Rental of the space is available upon request. Gallery hours are Wednesday through Saturday from 11 am to 7 pm. To visit, please visit us at 3156 24th Street (at Shotwell), San Francisco, CA 94110. There is SO much going on BUT I had to take the time to share a few photos I took during my studio visit with new media artist, Allison Holt. I’m looking forward to settling down and writing a piece about my conversation and visit with Holt. Her re-telling and artworks of the different energies and hybrid realities through her Fulbright research of Javanese culture is not only fascinating but yet another example of how artists can impact a community and engage in dialogue and discourse across cultures. Again, looking forward to posting parts of my interview with Holt as well as some reflection on her work. Dorothy Santos (DS): Regarding the Heart 2 Heart project, what did notice in the video submissions? Specifically, what did you notice in people’s’ speech? Eric Slatkin (ES): For one thing, it’s hard for people to say ‘you’. The project aims to anthropomorphize our phones, though calling it out directly, is a challenge for people. To give something that credence, there needs to be an interaction, a back and forth. But we often just think of the one-sided nature of our phones, and that keeps us from thinking of the idea of a relationship. But once we admit that there is a discourse there, it opens up some interesting ideas, like what we, ourselves, give back to them. DS: We give back to them? ES: I’m talking on the lowest level. Touching it. Talking into it. Stroking it. Looking at it. Thinking about it. All of those things, when applied to some sentient being, that would equal a relationship. And sure, it’s just an object, so we don’t think to attribute any emotions to it. But the sophistication of what we do with it, what it does for us is constantly being built upon, and with Siri, it shows that when then you can have a conversation with it, we have to take into consideration the idea of it ascending to some sort sentient level. I think a lot of people think it’s crazy that we might have a relationship as meaningful with a friend as we do with our phones – but I think it’s coming. And I think it’s important to have conversations about how we relate to it, vice versa, and what kind of understanding we can come to. As Kevin Kelley says, technology are introduced, and we are guinea pigs, making mistakes, learning from them. We saw that with Facebook privacy issues, as people lost their jobs, got divorced, didn’t get into colleges, all because they didn’t understand the implications of who they were sharing their social graph with. And so Heart 2 Heart is a project in some senses about negotiating our relationships with our devices. DS: Do you think technology is a right or an enabler? ES: Saying that it’s our right I feel, begets the idea that somehow, it has a theological grounding. That it’s a part of the constructs of how we’re evolving. I don’t believe that though. It just enables people to do things. It’s impartial, and what we do with it determines it’s opinions. DS: With Augmented Reality, John Craig Freeman pointed to technology being a prosthesis. What do you think of technology (i.e., mobile devices) as an extension of ourselves? ES: With all technology, there is a quantity over quality argument. 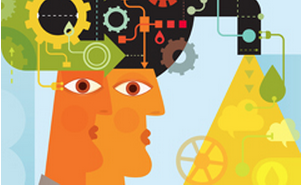 Technology solves problems and makes things easier so it opens us up to do other things. But that kind of logic is easier to stomach when it’s a machine that makes car parts, rather than when it compromises our need to do something like memory recall. But eventually (and we already see it coming) it will just make more sense not to remember anything because the phone /device will do it for us. I’m a little upset about that idea but it’s one of those things, where the jury’s out on whether in social evolution of things, it will still be thought of as integral in the future. If we don’t have to limit ourselves to 8 bits of memory/information, then we can obviously accomplish a lot more. But before any of this happens, with Heart 2 Heart and my other projects, I’m trying to elicit the conversation of the implications of that kind of transition. DS: What kind of sacrifices have you made for technology? ES: There are tons. They’re no different from anyone else’s though. I miss writing with a pen. Writing with a pen is intimate to me, closer to what I’m really thinking than when it appears on a screen – not to mention the different kind of real-time editing you do by backspacing – deleting and replacing, than with a simple strike through with a pen. ES: It’s what you’re creating. You’re creating what shows up on the page. 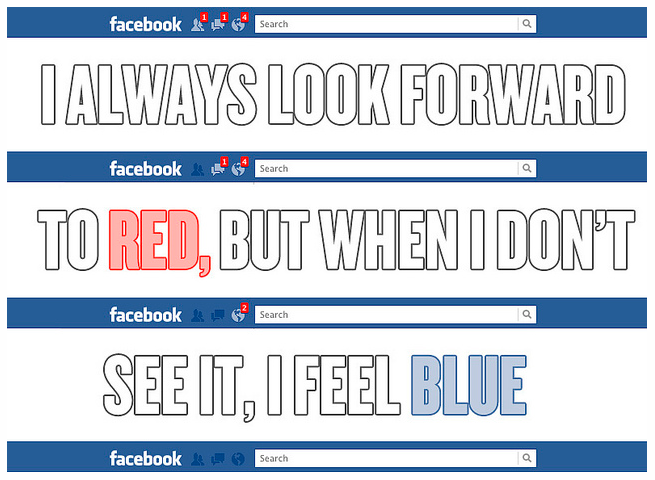 There’s this whole other system when you’re on a laptop such as spell/grammar check and it fixes it for you. You feel less involved in the process. I write poetry and it’s all by hand, at first because if it’s on the computer, it feels further along in the process, when all I’m trying to do is get my thoughts down. But I always edit them on my computer – there’s no way, I’d write multiple drafts by hand. DS: Since you discussed converging with technology and seeing it as a form of mutualism, I’m curious what you mean by that? ES: I add a level of sentience behind these devices already. We give to it. It gives to us. In any kind of relationship. In our gut, there’s a world of bacteria, mostly helping us. And many people, like Ray Kurzweil, believe that our mutualism with technology will eventually get deep enough, so that it actually becomes part of us, just like bacteria (think Google searches right from our brain or turning house lights on and off just by thinking about it). DS: What do you think about accessibility to technology? There is a lot of the world that is not hard-wired in the way people are within a city or urban landscape. It definitely separates people. ES: It’s a socio-economic privilege. If, one day, there is an implanted chip in someone’s head, they’re gonna probably have a better chance at getting a job than someone who cannot afford. Even within our smaller cultural spheres, there are going to be those discrepancies. I don’t think it’s distinct than the historically having access to an education or books versus growing up without those abilities. I think that technology does a great job of helping to bridge the gap and democratizing knowledge – but I don’t think it will create a perfect society where everyone is on the same level – some will still have access to certain technologies, while others will not. DS: Do you want everyone to be connected? ES: It’s hard to say – you either don’t know, or if you do, base all your other experiences on it. It feels like why Thoreau left Walden – because he knew what was on the other side … I waffle between technophobia and technophilia, but ultimately I want to be, just like I assume other people want to be, part of society – and to do that, now, means to be connected. DS: Should everyone be connected? ES: It seems a little self-righteous to say yes, they should, or no, I want to think that there are people still living in the wilderness. It’s a choice that EVERYONE should make themselves. DS: Most of your projects, you seem to want the viewer/participant to use technology in moderation. Would you say that’s true? ES: I think the purpose of all these projects, is to make people take a step back. Think about your relationship with technology, so that we can have a conversation about their implications. And to ultimately, find a balance.